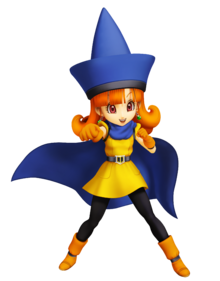 Alena is a character from Dragon Quest IV and a playable character in Itadaki Street DS. She is the Tsarevna (princess) of Zamoksva and is also known as a superb martial artist. Alena has been depicted to being a "tomboy" in terms of her personality, a similarity she has with Princess Daisy. After Alena's first appearance alongside the Mario franchise characters, she makes a reappearance in Fortune Street. Alena makes her debut into the Mario franchise in the cross-over game, Itadaki Street DS. 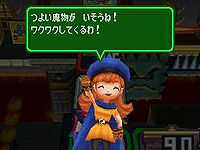 Alena is one of the 11 playable Dragon Quest series' characters playable in this game. Alena's Hat and Alena's Clothing are collectible items that can be equipped on customizable characters. Alena makes a returning appearance in the sequel to Itadaki Street DS, Fortune Street for the Wii. She appears visually unchanged, with her design being just slightly touched up since her appearance in Itadaki Street DS. North American Official Site Bio: "A tomboyish and impulsive Tsarevna from Zamoksva who's snuck out to try her hand at Fortune Street." This page was last edited on February 20, 2019, at 15:16.